Team TME is completing freaking out! 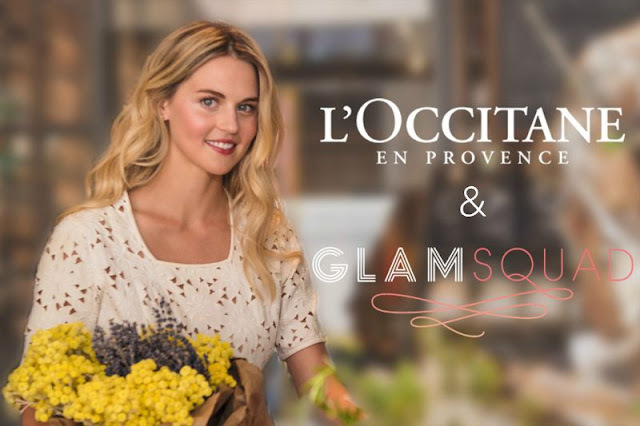 Beginning today August 4, L’Occitane is teaming up with GLAMSQUAD to celebrate natural beauty! In addition to training their full artist fleet and stocking them up with L’Occitane skincare products, the brands have teamed up for two amazing sweepstakes that we had to share with TME readers. The first is a full expense paid trip to the South of France! Can you day once-in-a-lifetime?!? And the second is a social contest for a chance to win a $200 L’Occitane shopping spree and free GLAMSQUAD makeover! Win a trip for two to Provence and a year’s worth of GLAMSQUAD makeovers - simply enter online at L’Occitane anytime between August 4 and August 14. You must agree to receive emails from both brands to be eligible. One winner will be selected on August 17th. Win a GLAMSQUAD makeover and $200 L’Occitane shopping spree - post a picture of your favorite effortlessly chic, French-inspired beauty look on Instagram or Twitter tagging #beautyofprovencesweeps, @loccitane and @glamsquad anytime between August 4 and August 14. Ten winners will be selected on August 17th. GLAMSQUAD services are currently available in New York, Los Angeles and Miami, and L’Occitane has over 200 L’Occitane boutiques nationwide. Even if you do not live in a participating service city, the sweepstakes are open to all US residents 18 years of age and older. All sweepstakes are running from 12:01am on August 4th through 11:59pm on August 14th. GLAMSQUAD artists will have L’OCCITANE products on hand for services indefinitely. For full terms click here and good luck to all!